There is always time for more hard work. In the midst of her third year as a PhD student in the department of English, film, and theatre at the University of Manitoba, Kendra Magnus-Johnston is exerting her talents to co-ordinate Wine & Words, an innovative event for the company Theatre by the River that combines theatre, literature, and wine. Magnus-Johnston is on the board for Theatre by the River and works as their promotions and marketing coordinator. She also recently worked as chief returning officer for the U of M Graduate Students’ Association elections, and serves on the boards of the Graduate Students’ Association and the Association of Graduate English Students. She serves on the board of directors for the quarterly-published Contemporary Verse 2: The Canadian Journal of Poetry and Critical Writing. She also volunteers with the Manitoba Editors’ Association, and is a research and teaching assistant with the University of Winnipeg in the department of Women’s and Gender Studies. Her work has been published in the Journal of Folklore Research, Children’s Literature Association Quarterly, Marvels & Tales, and Young Scholars in Writing. The event is produced in conjunction with the Spur festival. Spur is interdisciplinary in nature and promoted as “a festival of politics, art, and ideas.” The Spur festival is conceptualized as a living magazine, showcased in the form of debates, conversations, book readings, walking tours, literary cabarets, parties, and more. Hosted in the past at Red River College, and last year at the University of Winnipeg’s Asper Centre for Theatre and Film, Wine & Words is now in its fifth year, and they are planning to remount this show as their season launch this coming fall. The event is a boundary-crossing smorgasbord. “There will be pieces from poets, playwrights, filmmakers, and authors of fiction and non-fiction,” says Magnus-Johnston. “Some pieces are slow, others are rhythmic, still others are downright sad, while others are comedic.” All of the pieces are written and performed by locals. Do not expect traditional theatrical fare. A variety of local artists from different fields have contributed to the event in various genres. “George Toles recently pitched that I include his Facebook status posts in the showcase; I will admit, the idea has stuck with me,” says Magnus-Johnston, imagining a future opportunity for this idea. 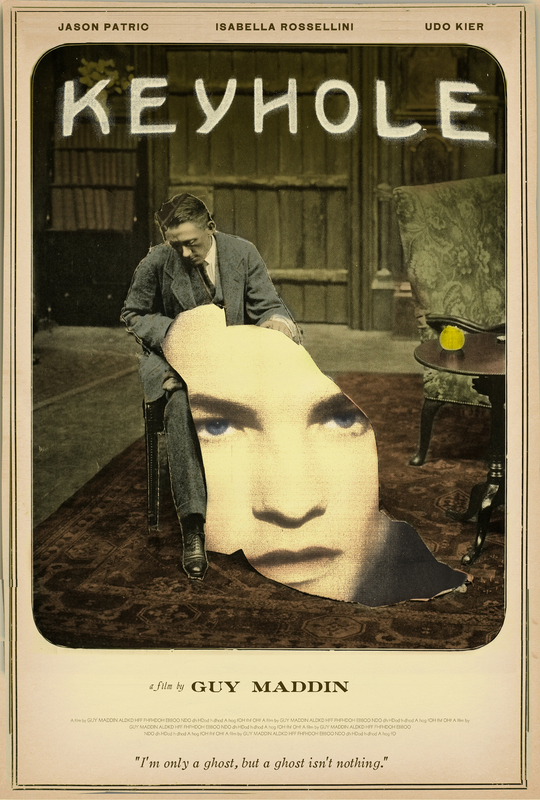 Other artists whose written work will be part of the event include filmmaker Guy Maddin and photographer Leif Norman, and writers Sally Ito and Steve Locke. She sees the event as an opportunity to give back to the community. “Art should be shared. It should exist to enrich the life of the producer and his/her peers. Reading and writing should be shared. I think we should all strive to make connections, to know our neighbours and the things they are passionate about,” she explains. The organizers are adamant about presenting the works as a tribute to the authors who devoted their time to crafting them. Magnus-Johnston emphasizes the importance of sharing an opportunity as well as physical and ideological space among people in various fields, citing faculty mergers at the university level and funding cuts to different departments. “The [interdisciplinary quality] of the festival is a political and tangible subject that we should be talking about,” she asserts. 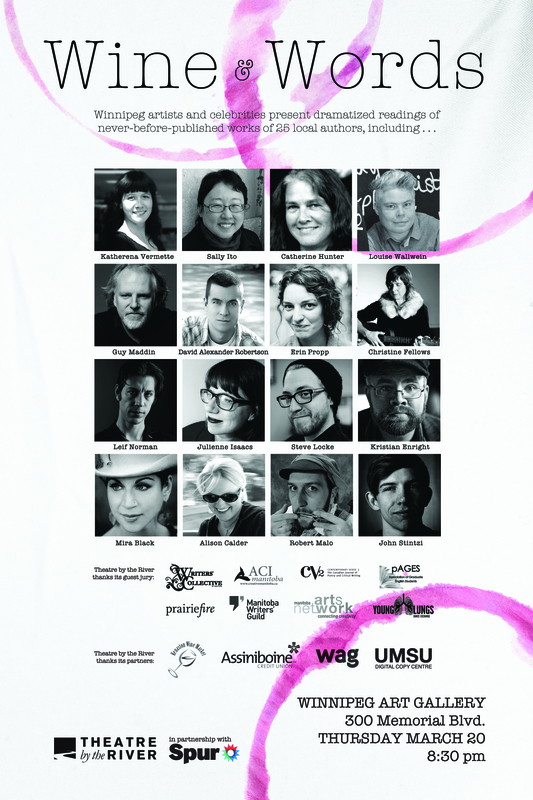 Wine & Words takes place March 20 at 8:30 p.m. at the Winnipeg Art Gallery (300 Memorial Boulevard). The panel discussion is at 7 p.m. Tickets are $25 and available at www.brownpapertickets.com or by using your Spur weekend pass.